On 19th February 2016, the stud directors Dr. Marek Trela (Janow Podlaski), Jerzy Bialobok (Michalow) and horse breeding inspector Anna Stojanowska (Agricultural State Property Agency, ANR) were dismissed from their posts with immediate effect. This decision left the whole Arabian Horse community in shock, as these people, together with the late Izabella Zawadzka and the former stud directors Andrzej Krzystalowicz and Ignacy Jawarowski, are the architects of Polish Arabian horse breeding as we know it. This article will try to shed some light on what is going on in Poland. The new Polish ‘Law and Justice’ government, elected only in October 2015, has made several controversial new laws in unprecedented speed and range that have given them more control of state institutions. These measures include*): To change the management of the country’s largest state-controlled companies, to pass a new law governing the Constitutional Court aimed at increasing the governing party’s influence over the tribunal, to pass another new law which allows ‘Law and Justice’ to take control of the civil service, and by this more than 1,600 civil service directors, who are apolitical, can be sacked and replaced without the need for a competitive board. Dr. Marek Trela, veterinarian, specialized on horses, associated with Janow Podlaski since 1978, first as veterinarian, later he was selected by Director Andrzej Krzysztalowicz as his successor. Trela gained experience and knowledge about Arabian horse breeding under the mentorship of the late Andrzej Krzysztalowicz and run the studfarm for the last 16 years, during which time he become one of the world’s top experts of the breed, a well respected judge, who judged all the major shows in the world, he is a member of the Judges Instructors Group of ECAHO, the Executive Committee of ECAHO and Vice-President of WAHO. He has been replaced by Marek Skomorowski, previously acting deputy director of the Lublin branch of the Agency for Development and Modernization of Agriculture. A native of Lublin, he is an economist by training, and has been previously associated with the banking sector. Jerzy Bialobok is a graduate of the Agricultural University of Poznan. After graduation, he came to Michałow as an apprentice and worked in the stud since 1977. In 1997 he succeeded the first, long-standing director of the stud, Ignacy Jaworowski. He has to his credit several outstanding breeding achievements. In 2001, Michalów was awarded as the best studfarm by the Polish President Aleksander Kwasniewski. He as well is one of the world’s top experts of the breed and a well respected judge. He has been replaced by Anna Durmała, who graduated in 2008 with a degree from the Agricultural University in Krakow as animal technician. 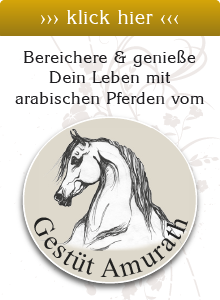 From 2008–2013 she worked for the private Arabian Horse Stud “Ewex Arabians” (5 mares, 1 stallion and 2 geldings). Anna Stojanowska, is an Animal Science graduate from the Warsaw Agricultural University, specializing in horse breeding. Between 1993 and 1995 Anna worked at Arabian State Studs in Poland including Michałów, Kurozwęki, Bialka and Janów Podlaski Stud. 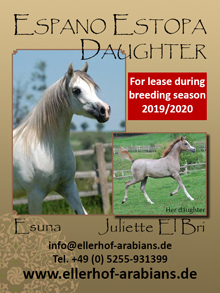 In 1995 she was employed by the Agricultural Property Agency, who is the owner of the Arabian State Studs, as a horse breeding specialist and advisor to the State Studs. She succeeded Izabella Zawadzka, who was her mentor. Anna Stojanowska is an international Arabian horse judge since 1999, presently the president of the ‘Polish Arabian Horse Breeders Association’ (PZHKA) and Vice-President of ECAHO. A successor is not yet named. Days after the dismissal, the charges against the three figure heads made by Waldemar Humięcki, President of Agricultural Property Agency, were given to them. 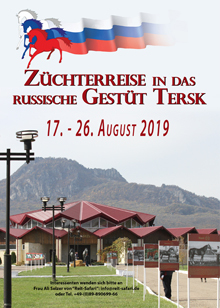 As general reason for the dismissal was given a “lack of trust”, and in the case of Marek Trela the ANR stated: “A lack of proper breeding and veterinary supervision over the purebred Arabian horses in the case of Janow Podlaski. The effects of the lack of adequate supervision were confirmed, among others, by the circumstances associated with the illness, treatment and euthanasia of the mare Pianissima, which was valued at 3 Million Euro. 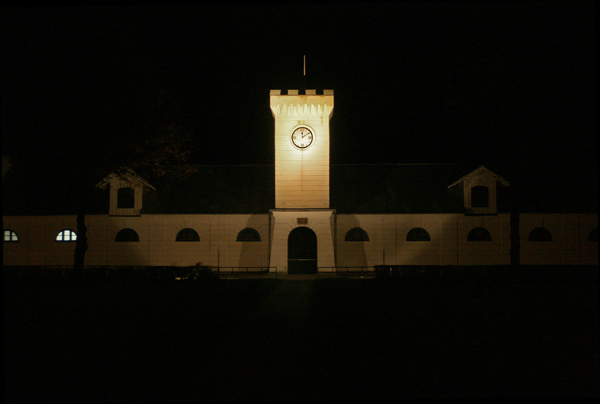 The death of the mare took place in October 2015. For comparison, at the auction held in Janow Podlaski in August 2015, the mare Pepita was sold for an amount of 1.4 Mio Euro.” In their common statement of defense to the accusations of the ANR, Trela, Bialobok and Stojanowska stated: “The mare Pianissima enjoyed perfect health throughout her life. On the day before her death, she took part in the autumn breeding survey, watched by dozens of people. She was in excellent health, as well as accompanied by her foal. Equidae, due to their specific construction of the gastrointestinal tract, succumb to a disease commonly called colic. For Pianissima, it was a twisted colon. The disease came suddenly, unexpectedly and took a razor sharp course.” Additionally, Marek Trela has been accused for not having insured Pianissima with a life insurance, while Anna Stojanowska was accused in her letter of dismissal for not having controlled Janow Podlaski tightly enough on that subject. “So, when Pianissima died, they criticized, she was not insured”, explained Marek Trela when I met him in Abu Dhabi. “For what sum could you insure such a horse? 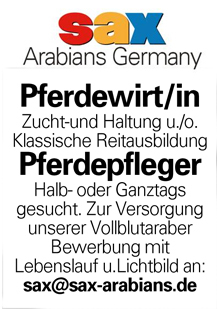 They say 3 Million Euro – why not 5 Mio or 500 Mio? A horse is only worth the price somebody is ready to pay, but Pianissima was never for sale, so we don’t know. And what about our other champions, such as Pinga, Pogrom, etc., can you imagine the yearly insurance fee?” Life insurance of horses is a rather complicated and expensive matter. To insure for a sum of 3 Mio Euro, the yearly insurance fee is estimated around 125.000 €, for just the one horse. 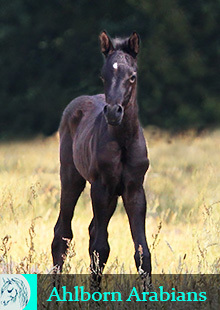 Additionally, both stud directors were accused for “having given permission to foreign contractors to produce more embryos than is permitted by Polish regulations.” This statement shows a lack of understanding of the rules and regulations associated with embryo transfer, as it depends on the country, in which the resulting foals are registered at birth. Anna Stojanowska repeated at the press conference on 29th February, that in Poland there are no legal regulations on flushing animal embryos, so no law has been broken. The only limits concern entering embryo transfer foals into stud books. But the mares in question were leased to the USA, so the US Studbook rules and regulations prevail, and these don’t state a limit for the number of embryo transfer foals that can be registered in the US studbook. This was the case with the mare Wieza Mocy, leased by Michalow to the United States, for whom the signed agreement limited the number to four a year. Mares after the expiry of the lease agreement return to the country and continue to perform their service in Polish breeding. How to measure the success of a stud? Surely, sales revenues, show results and the balance sheet at the end of the year are an excellent indicator. And it is the benchmark against which the new directors will be measured. Looking at the three indicators, it also shows, that the two directors of Michalow and Janow Podlaski have been dismissed at the height of their success. Sales – about 200 horses are sold each year, of which 20-25 are sold through the prestigious “Pride of Poland Sale”. The latter have yielded an average of ca. 83.000 € over the last 10 years. The most successful Pride of Poland sale ever took place in 2015 with a turnover of 3.99 Mio Euro and the most expensive horse ever sold by the Polish State Studs was Pepita who achieved the record price of 1.4 Mio Euro. Show Records – Michalow alone bred 21 European champions, 13 World champions and 11 US champions – this is an unprecedented record. As is the show record of famous Pianissima of Janow Podlaski, the most successful show horse ever! Revenue – the two studs brought profit every year, varying between 140.000 – 850.000 Euro and largely depending on the results of the auction. Last year’s profits reached 735.000 Euro for Janów and 530.000 Euro for Michałów, not only due to the horses, but also to the Studs’ other activities, like cattle. Website, with the most current state of affairs: Poland is not yet Lost!